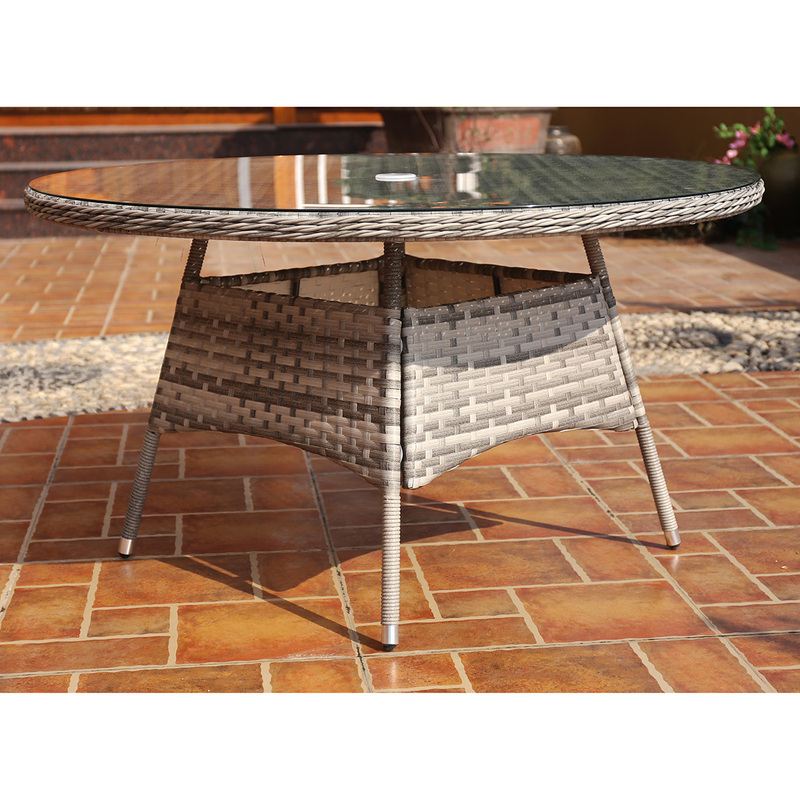 Add a sophisticated touch to your outdoor living space, with this premium round rattan dining table. 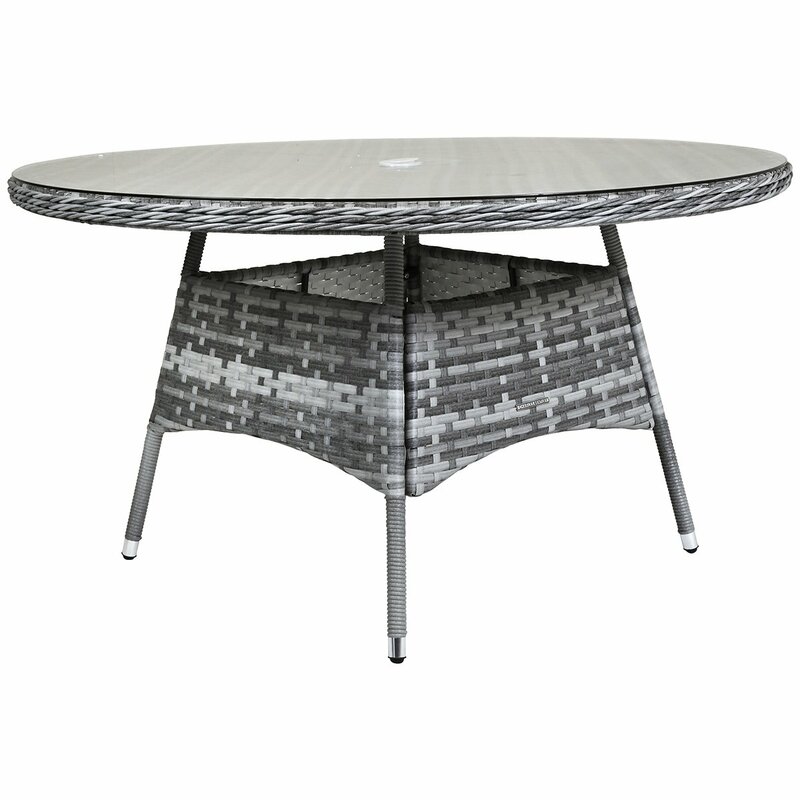 Ideal for seating up to 6 people, this large light grey rattan dining table is finished with a weatherproof half-round rattan finish. 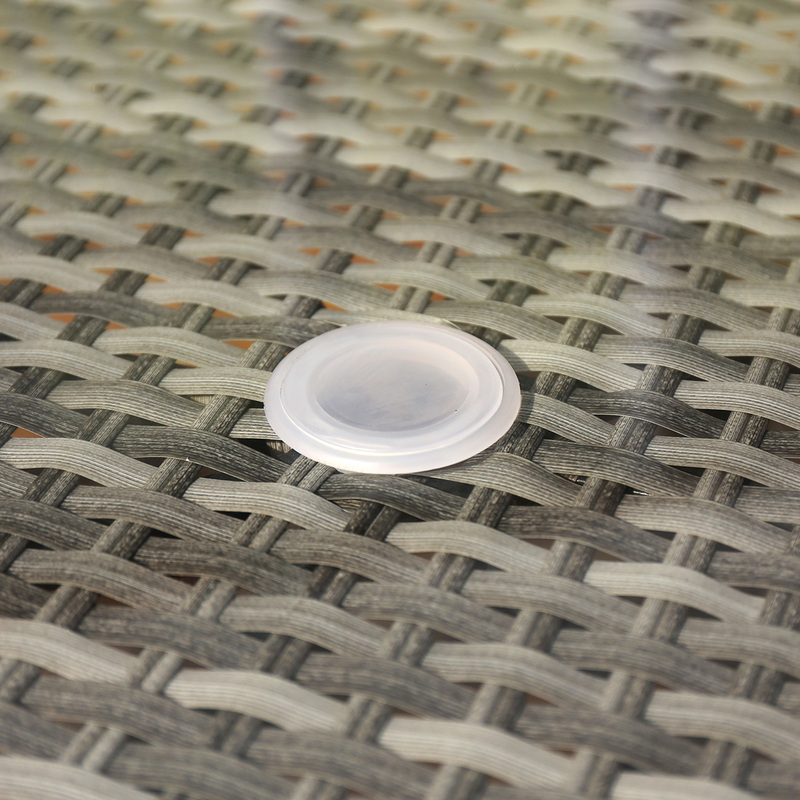 With a central parasol hole, you can put up your umbrella and keep everyone in the shade. 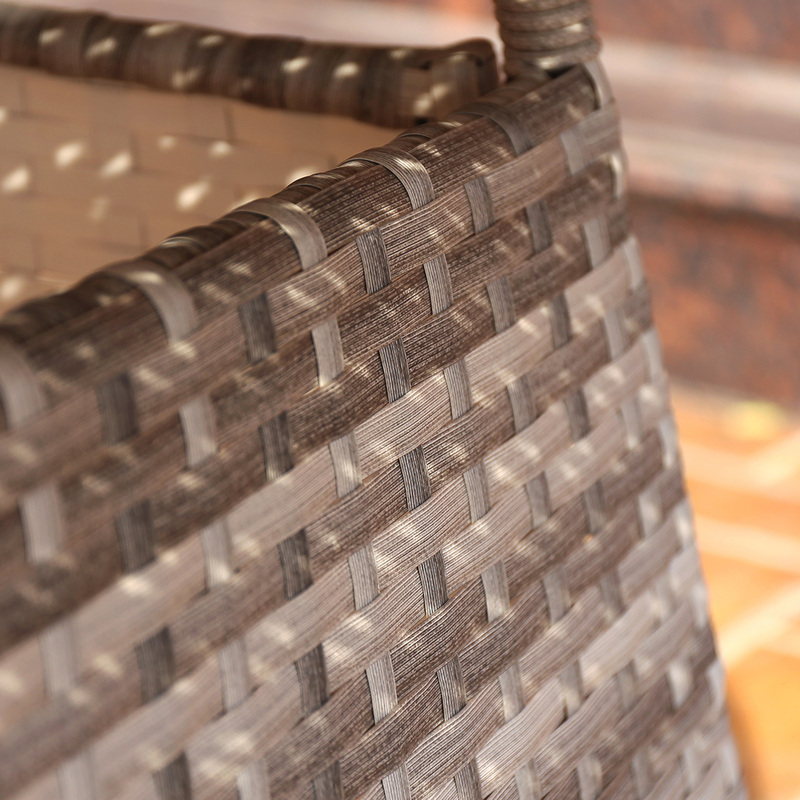 Part of our Milano range, which is inspired by Italian cities, this high quality rattan dining table will add a stylish statement to any garden. 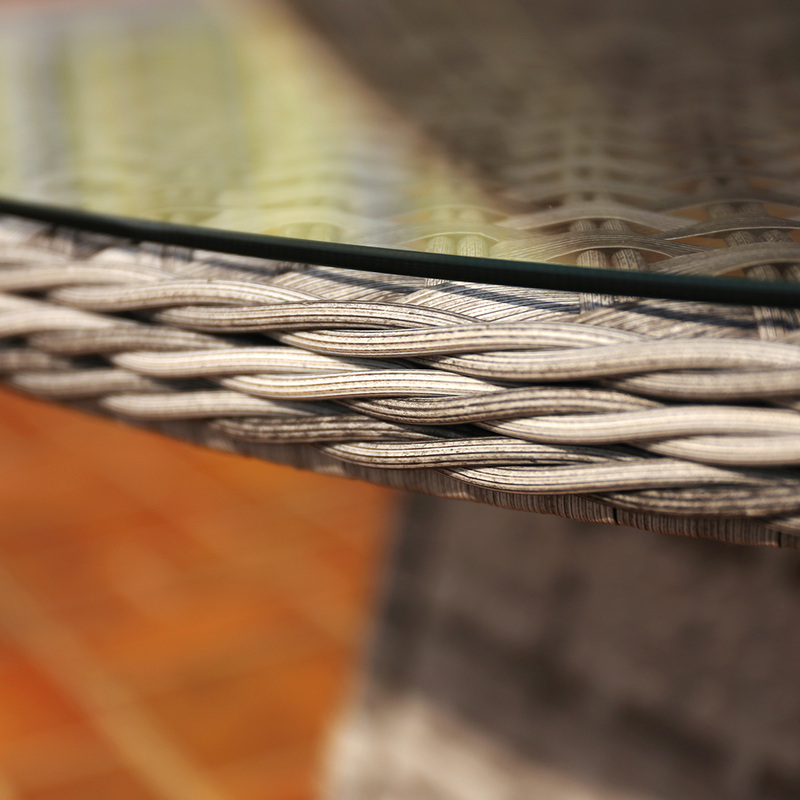 Completed with a strong tempered glass surface, this rattan dining table will withstand the elements and provide long lasting use. 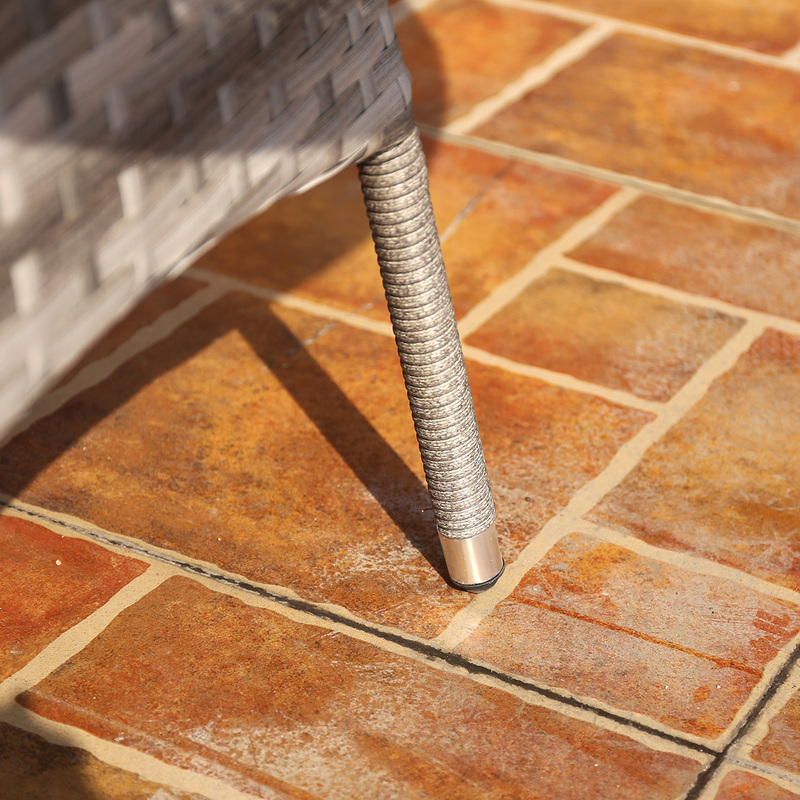 Please Note: Matching outdoor furniture and accessories are available in our Milano furniture range.